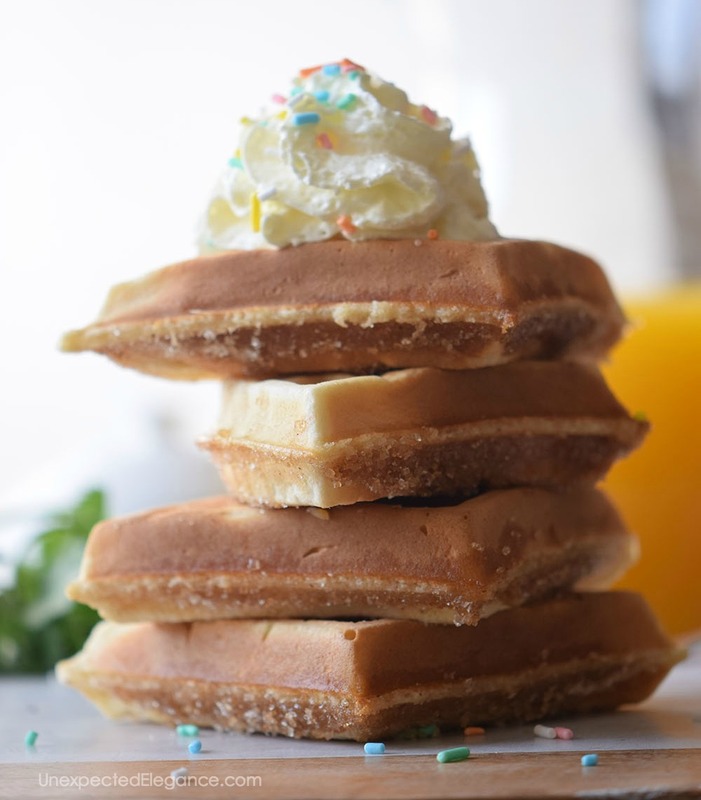 This is a great waffle base recipe. Add berries or chocolate chips to change it up! They are also good to freeze and use later. Summer break is almost here and that means a little slower mornings around our house! We tend to actually make breakfast a lot more. 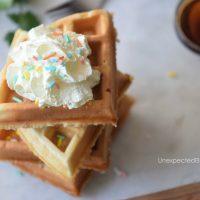 The kids love waffles, so they are always a hit. This is a great recipe to start with…it also can keep for a day in the fridge. Preheat the waffle iron to medium heat. In a bowl, whisk together the vanilla, flour, sugar, and baking powder. Add the water, milk, vanilla, melted butter and eggs. Stir well until no lumps are left. Grease the waffle iron with nonstick cooking spray. 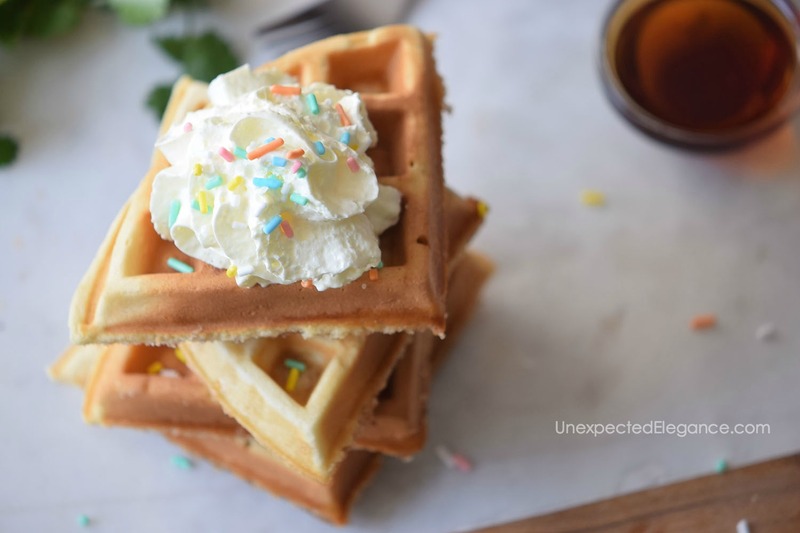 Use a spoon to pour the mixture into the waffle iron. 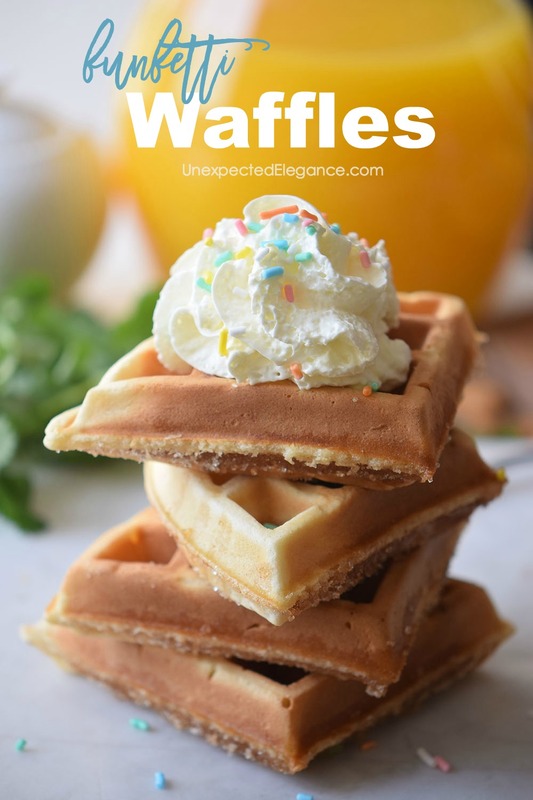 Remove waffles and cut into bite pieces. Tips: Use cookie cutters to cut the waffles into fun shapes. Another great option is to make a few batches of these and put them in the freezer. Make sure they cool completely, then put them in an airtight container or freezer bag. You can heat them in the toaster later!